I never knew what I wanted to be ever since I was a kid. I remember my first ambition was to be a Pastor, then that changed to a Scientist, then I wanted to learn Martial Arts and teach Kung Fu. And then I got into senior high school and it changed to an Economist which evolved to a Chartered Accountant and I remember in my High School graduation speech I said I wanted to be a Mathematician (I don't think I impressed anyone). After a while I decided that music was my line, but that didn't last very long either, so I switched to wanting to be nothing (maybe that's why I flipped a coin to decide what to take in college Arts or Commerce, talk about smart ideas). I really don't remember much of my college days (I don't think there was much to remember except a few very good friends Mafela, Hminga RIP. Salim Khan, Johnte) but in my final year of College my English professor suggested that I give Advertising a try. 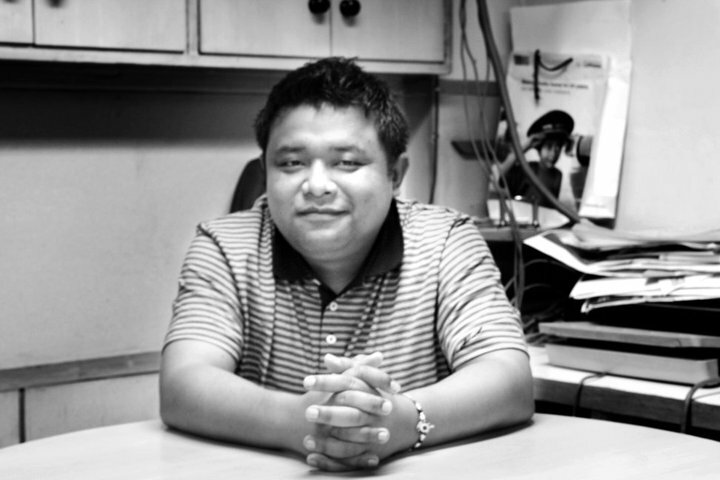 Imagine the excitement on my face, but I didn't know anyone in the advertising industry, definitely not any Mizo. So the genius in me decided that getting an MBA in marketing was the best way to get into Advertising. And like 'Joseph' would say every time we made a wrong decision, “everything was fine until you decided to be smart”... I decided to be smart and wasted 2 years and ended up working in the finance department at Samsung. WTF? How the hell did I get from the dream of being a copywriter to Finance, with a Marketing degree? But fate has a way of messing with you before getting you to where you're meant to be. Because just when I was at my lowest point, I got a shot at MRM (McCann Worldgroup thanks to Rahul Mathur & Kush Grover and not to forget the rest of the team Pranay, Ritu, Titu). Joined as an intern for close to a year for a measly Rs. 6000 PM, but that didn't matter, coz I was later confirmed. I was there, finally reached my dream. I had never been happier in my life and as I sit here writing about it, I can still feel it, and to be honest I think that moment will stay forever in my head as my proudest moment. But the truth is that once you've fallen in love with the advertising industry, there's no 'getting back to how you were before you met', it's one relationship that lasts a lifetime. It changes the way you think, the way you look at problems, it makes you stronger and gives you confidence, but most of all it teaches you that the truth is not out there its in you. Anyway, getting back to the big O, I have often wondered why every other car branding in India ends with an 'O' eg. Xylo, Alto, Bolero, Scorpio, Aveo, Figo, Vento, Punto, Brio, Santro, Eeco, Estilo, Rio, Nano, Sumo, Montero, and the list goes on. I would not be surprised if the next MUV is named 'Homo', Why you ask? Well because its a sedan that looks like an SUV and it can take in a lot of luggage from the back (sick joke I know and I apologize). But seriously, Is this where our creativity begins and ends, why the O? Did somebody do a research on it or maybe they all went to the same pandit/guru to name their car (which reminds me the Glycodin Tvc), I don't know, and the best part is I don't even know why it bothers me so much. Maybe its because I've owned a Santro and now a Figo and would like to buy a Polo some time in the near future. Now if you put all the names together they would sound like names of siblings. Now I'm not saying it's bad, all I'm saying is can we have a little variety? I am what you would call a self proclaimed amateur whiskey connoisseur. 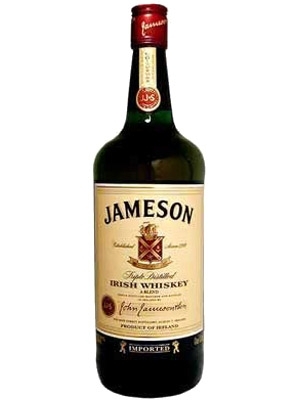 After almost 15 years of drinking almost anything that is slightly reddish in color and can give you a high to some of the finest whiskey available, my evolution to where I am now has been a bitter sweet experience. Enough of my drinking history and lets get straight to the subject in hand 'Kuchh Nai Dlux Scotch Whiskey'. I first heard about this strange whiskey/scotch from Charles Darkim (lets not get into details about him) ever since he told me about it, I've been looking in vain for it at almost every Theka (Liquor Store) I know in Delhi. And who would have known that a dry day in Delhi would lead me to the infamous Kuchh Nai at a tiny Theka (Liquor Store) on the outskirts of Gurgaon J (everything happens for a reason). Looking at the bottle took me back to the first time I bought a Gi-Joe action figure (so happy sniff sniff..). A bottle set me back Rs. 1300(Gurgaon) not too bad. Quickly drove back to my house in Darya Ganj (a grueling 30 km drive) rushed to my dining table for the moment of truth. 1.Bottling: Could have been better, but I've learned to look beyond the bottle. 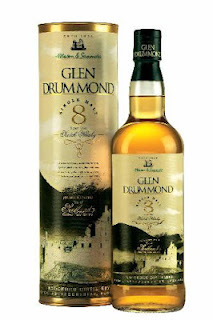 3.First Glass - without water: Quite confused, the hints of vanilla and caramel disappeared as fast as they came, sweet but short after taste, the spirit is overwhelming. 4.Second Glass - on the rocks: The ice really brings out the flavors in the first few sips, but as they melt the flavors are lost way too soon. 5.Third Glass – a dash of water: Not impressed at all. Verdict: hmmmm... didn't live up to my expectations (though I had no idea what to expect). 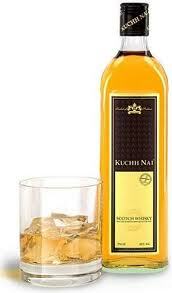 Kuchh Nai is one of the strangest whiskey I've had, its confusing, lacks texture and flavor but not very bad at all. If you smoke then I'd suggest you smoke lights with it, regular or strong cigarettes would kill the faint flavors it has to offer. I'd also suggest drinking it on the rocks, 2 rocks max for a 30ml drink any more that that and you would probably want to slap yourself (nobody likes tasteless colored water). You could probably get better blended scotch/whiskey like Black & White, Dewar and Jameson etc. in the Rs.1000 to 1500 range but I wouldn't go so far as to say that Kuchh Nai is exactly what the name says (Kuchh Nai means - Nothing), it is definitely worth a try, at least 'Once' in your lifetime. Now getting back to Charles, If you're reading this, come over and lets finish this damn bottle together. I have to give u a piece of my mind!